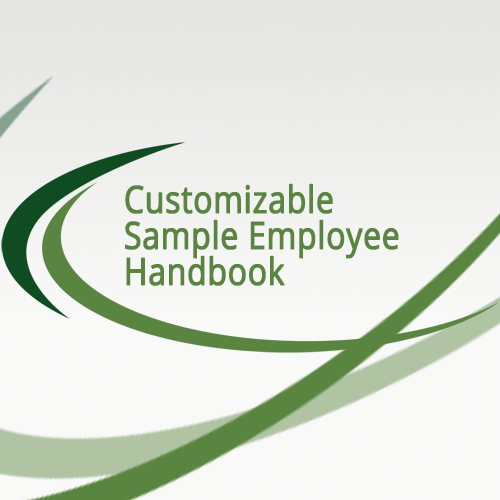 Our customizable sample employee handbook serves only as a guide for developing and revising an employee handbook. An employee handbook should be a tool for communicating with prospective employees and current employees. Our customizable sample employee handbook serves only as a guide for developing and revising an employee handbook. This sample does not include information as it relates to state specific laws. An employee handbook should be a tool for communicating with prospective employees and current employees. It should provide general information about the company, an overview of benefits, general practices/guidelines, an employment at-will disclaimer and a handbook receipt acknowledgement.